Charlie tries to convince Lola to be a less fussy eater. Lola really wants to play on her own. Charlie tries to tire Lola out so she'll go to bed. Lola can't find her favourite book at the library. Lola is determined to play The Sun in the school play. When Marv's dog vanishes, Lola must help find him again. Charlie tries to teach Lola that she doesn't have to win all the time. It's time for Charlie and Lola to get their hair cut. Lola is ill and wants Charlie to keep her company. Charlie and Lola are running late for school. Lola tries to make Charlie jump. Charlie has a bright idea when their picnic is ruined by a storm. Charlie makes Lola promise not to touch his prize-winning rocket. 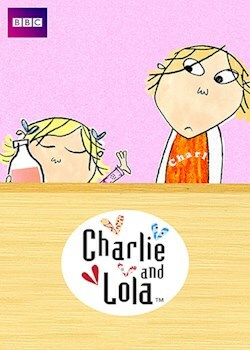 Charlie's birthday is coming up and Lola has planned a big surprise. Charlie and Lola visit their grandparents by the sea. Lola gets a wobbly tooth and learns about the Tooth Fairy. Lola is determined to stay clean and tidy for her school photograph. Charlie tries to show Lola that spiders are not that bad. Snow is on the way and Lola has never been so excited. It's Lotta's birthday and Lola wants to buy her the best present in the world. Lola cannot wait to spend the night at Lotta's, until disaster strikes. Charlie and Marv present a musical piece in school assembly. Lola decides that she is far too busy to play today. Lola is fed up with being the smallest person in the family. Charlie and Lola struggle to share their new play set. Lola is given an exciting new alligator costume and refuses to take it off.